Applying EDI software to your supply chain will allow you to gain a better understanding of your inventory. Stock only what you need based on demand. This allows you to order and stock goods based on existing or predicted future orders. You can also reduce labor costs. Companies that use EDI, outsource implementation to third parties. This reduces in house labor and training costs and provides accountability for accuracy of the implementation from a third party vendor. In addition, for smaller organizations this provides significant cost benefits over an in house implementation. Another benefit is improved customer service. All information about orders, inventory and shipment is available to your suppliers, vendors and clients. This provides piece of mind to the client, as they are aware of the current status of orders and shipments. 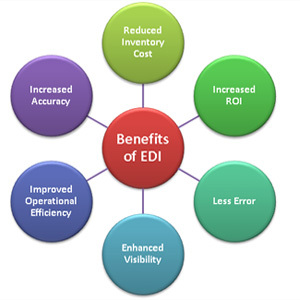 EDI can bring massive operational efficiencies to supply chain, transportation, labor and customer service. The technology and the expertise are available and just needs to be utilized. ACT Data Services provides EDI software and barcode label services for leading organizations.